In this Zander Build Guide, we provide an overview of his strengths, abilities, Battlerites and matchups. Zander is without doubt one of the strongest Support Champions in Battlerite. His kit offers high damage, bags of mobility, hard crowd control and plenty of utility. He factilates incredible dives, and allows those who are already mobile (such as Raigon) to pursue enemies with relentless determination. His Portal alone carries him and his team fairly hard, especially if they’re playing aggressively, while his Rabbit Form and Spotlight ensure he and his team can survive relatively high burst. When the famous theatre troupe "The Phantomime Masquerade" disbanded after a series of tragic events, their magnificent magician Zander vanished without a trace. Known for his unparalleled perfection in card trickery, teleportation, duplication and transformation, this distinguished illusionist has now returned from the dead to turn the otherwise ceremonial arenas world-wide into spectacular revelries. In the right hands Zander can be incredibly oppressive, and while his base healing is inferior to the likes of Lucie or Pestilus, he does have a powerful buff that reduces incoming damage received by 15%. Even so, Zander struggles to keep teammates alive when under heavy pressure and with no shielding instead, relies on his team to attack hard and fast in order to win, or to remove them from danger completing with his Teleport. Trick Shot (LMB) - Trick Shot is Zander’s primary attack and is also his spammable heal. What’s particularly challenging about this ability is the fact each card heals, or deals damage independently. It’s more than possible to hit an ally with only one card if they move just at the last moment, meaning they’ll only reach 5 health, as opposed to 10. The same situation can occur when damaging enemies, meaning that Trick Shot needs exceptionally good aim to really maximize its value. 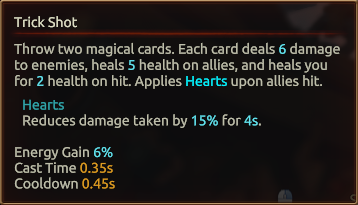 That said, its application of Hearts on an ally (effectively a heal over time) ensures it does offer some sustain. If you can, keep Hearts applied to your team and use Trick Shot on opponents as much as possible. 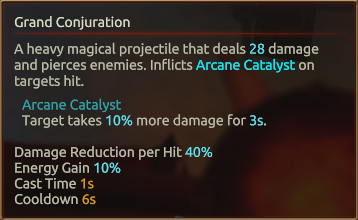 Grand Conjuration (RMB) - An incredibly long ranged attack, Grand Conjuration deals high damage and causes a debuff on all those struck. Its wind-up time is significant, and it’s incredibly obvious what Zander is about to do. Despite this, Grand Conjuration remains exceptional for bombarding enemies from afar, or snagging the central Orb. Don’t be afraid to cancel-cast it, and try to aim for a high value target so your team can maximize the damage modifier it provides. Mirror Images (Space) - Your first means of evasion, Mirror Images is integral to Zander and his ability to survive. Offering immediate movement, Mirror Images also leaves behind an Illusion. Like any Illusion Zander leaves behind, it will fire towards where he aims, casting a single Trick Shot each time you do. With a 9 second cooldown, you want to use Mirror Images before Portal simply because it’ll be available first, and it provides instant movement. With Portal being a little predictable, it’s your first port of call when you want to create space; ideally towards scenery. Portal (Q) - Portal is partly the reason why Zander is so strong, because it allows him to ensure his team mates can continue to pursue enemies who escape them. When Raigon or Rook can no longer dive, Portal ensures they can still get to a squishy target such as Alysia or Jade. While its use requires coordination, a good Zander will know when to use Portal aggressively, or defensively. Just be conscious of the fact that experienced players will look for the exit portal, and punish those leaving it. Sheep Trick (E) - Undoubtedly stronger in 3’s than 2’s, Sheep Trick acts similarly to Petrify in the sense it removes those caught in its radius from play for a set duration. Ideally you want to ensure your team ignore those who’re transformed, or punish just one of them. If necessary, use Sheep Trick to escape if Mirror Images and Portal are on cooldown, or to peel for an ally who’s under heavy pressure. Sheep Trick also buys enough time to perfectly land a Grand Conjuration against those affected. Rabbit Form (R) - Rabbit Form offers Zander an amazing opportunity to escape, as it causes a minor knockback and grants massive movement speed. No Hero can catch you in Rabbit Form, and if they also suffer the knockback, it’ll buy you even more time. 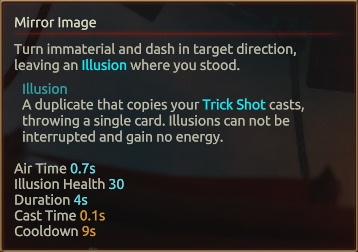 With this ability costing Energy, ideally you want to only use it when everything else is on cooldown, or to keep your other abilities free. In most instances, effective use of Rabbit Form, while rotating your abilities correctly, will ensure you’re incredibly difficult to pin down. Spotlight (Shift + LMB) - Spotlight is an ability I don’t often see many Zander players use, and yet it’s undoubtedly one of his strongest. Allowing him to AOE heal all allies in an area for rapid healing, over 2 seconds, it can mitigate a lot of incoming damage or allow those wounded to get back into the fight quickly. If you can, try to use this mainly in 3’s, or when you can’t get line of sight on an allied Champion. Its width is fairly large, just be conscious of the fact that Spotlight also acts as a beacon for the enemy to concentrate their attacks. Mind Game (Shift + Q) - Yet another ability to confuse opponents, Mind Game grants Zander immaterial (similar to when Shifu goes transparent), allowing him to escape unharmed. The illusion that he sends forth will detonate, dealing damage and inflicting Arcane Catalyst. In general, it’s a good idea to send Mind Game forwards before following up with Grand Conjuration, in order to cause a double dose of heightened damage. Mind Game also works well to body block any projectiles for Zander, before he repositions. The Prestrige (F) - The Prestige isn’t just for allowing Zander to deal massive damage thanks to its ability to create two Grand Conjurations. Instead, it also allows Zander to apply a swift amount of double-healing to any of his team. While it’s fair to say its primary value is to bomb the enemy with a massive burst of damage, don’t undervalue its duplicate Trick Shot, or the increased size it provides Sheep Trick. Like our Battlerite content? Help support Ten Ton Hammer by subscribing to us. Here's the details. Heart Restoration allows Zander to apply Hearts (a heal over time) over its duration. With Zander having low healing output by default, especially if he doesn't land both cards, gaining a high value heal over time significantly boosts his team healing. The debuff caused by Grand Conjuration increases damage against a target by 10%. Arcane Conductor increases this to 15%, while extending the duration by 1 second. 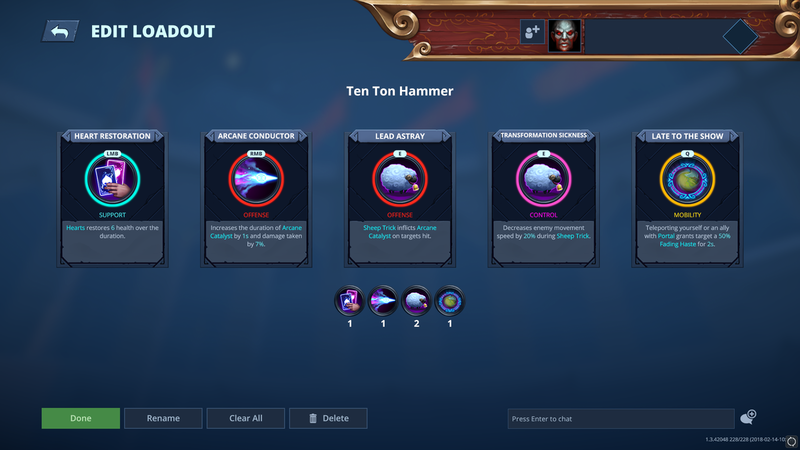 For increasing the window of damage opportunity, it's an amazing Battlerite. 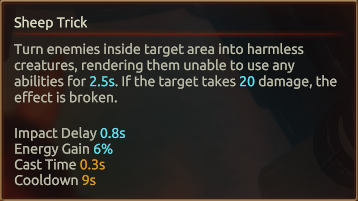 Lead Astray builds on the increased damage Arcane Conductor offers, inflicting anyone effected Sheep Trick with the debuff. Considering the duration of Sheep Trick is perfectly timed to allow for you to cast Grand Conjuration, it ensures you can instantly burst an opponent for much higher damage. Purely for greater mobility, Late to the Show is a safe pick. Granting anyone who uses Zander's Portal a 50% fading haste for 2 seconds, a serious amount of time that allows Zander to buy himself time before using another escape ability. These Hero Threat Levels (1 being lowest threat and 10 being highest threat) are to help you determine which enemy Heroes can give you a headache. For the Heroes listed here, take extra care as they're particularly dangerous for Zander. Ezmo: His speed, rapid attacks, ability to shield himself and his long ranged poke allows him to wear you down. Ruh Kaan: His silence, pull, ranged poke and teleport are a real challenge. If he snags you early, he can lop a large amount of health from you. 1. Despite dealing solid damage, remember that your primary role is to support your team. 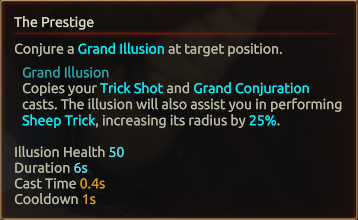 After you've cast Grand Conjuration, you really should be repeatedly spamming Trick Shot on your team-mates to keep their health topped up. If it's full, only then turn to damage. 3. The arc fire of Trick Shot ensures you can often land at least one card on an ally or enemy, even if there's scenary in the way. 4. Grand Conjuration has a long wind-up time. Don't forget to cancel cast it, if you think it'll trigger a counter, or miss. 5. If you can, always follow up with a Trick Shot or Mind Game against an enemy affected by Grand Conjuration. The debuff will ensure you deal increased damage, and lop a large chunk of their health. 6. Always try to save Grand Conjuration for Sheep Trick - the crowd control is long enough to land a perfect shot. 7. Grand Conjuration is great for sniping the central Orb. If needed, save the ability just before it spawns. 8. Mirror Images isn't just for escaping. 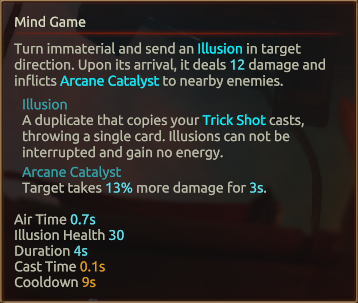 Use the Illusion it creates to gain bonus damage or healing from the additional card they throw. 9. 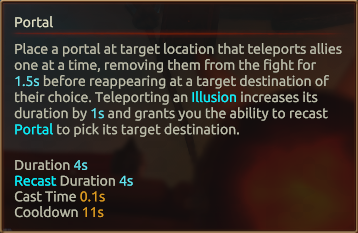 Don't forget you can use Portal to move your Illusions. Doing this grants another free cast of Portal, and elongates their duration by 1s. 10. Don't be afraid to play aggressively with Portal. For example, if you know your Rook has just used Rush against an enemy (who has now used his out), use Portal to plonk your Rush immediately next to the same target. It's part of the reason why Zander is so aggressive in his playstyle. 11. Try not to immediately jump to using Portal to escape opponents. Mirror Images or Rabbit Form are often quicker at ensuring Zander can create space. 12. If you are using Portal to escape, put the exit behind scenary or near to your team. It'll make it harder for the enemy team to follow you. 13. Remember that Sheep Trick has a delay before its impact and effect. Take into consideration the movement speed of the enemy and where you think they'll be. 14. 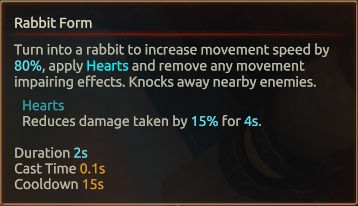 Rabbit Form has a very long cooldown. Don't waste it if you can withstand a handful of basic attacks. 15. Use Spotlight on yourself if your Trick Shot can't reach an enemy or ally. It'll quickly heal you up. 16. Mind Game is great for an instant quick burst of damage, and works well when cast before or after Grand Conjuration.